The hallways of the Missoula International School buzz with enthusiastic students congratulating one another for the roles they’ve received in the upcoming play. ?Kindergarteners and first graders gloat over their important role as Tarantualas (spiders), while Doti (Dorothy), Espanta Pajaros (Scared Crow), Lionel (Lion), and Hombre de Lata (Tinman) lay their middle school math aside for a week to learn their many lines for the week end’s performance. 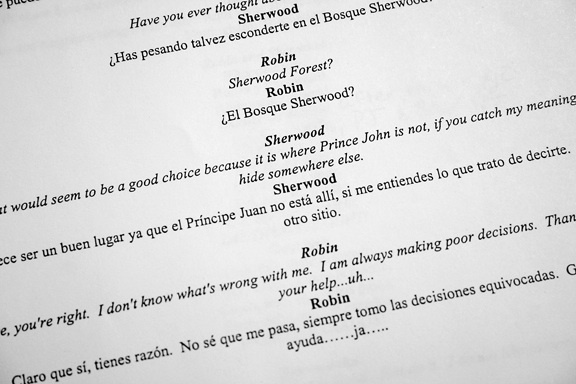 These students remember the demanding rehearsal schedule that led up to last year’s performance of Robin Hood y los Héroes de Sherwood (Robin Hood and the Heroes of Sherwood) and they know that this year’s El Mago del Oeste (The Wiz of the West) promises nothing less rigorous. For two consecutive years the Missoula International School (MIS), and the Missoula Children’s Theatre (MCT) have united to perform plays entirely in Spanish. 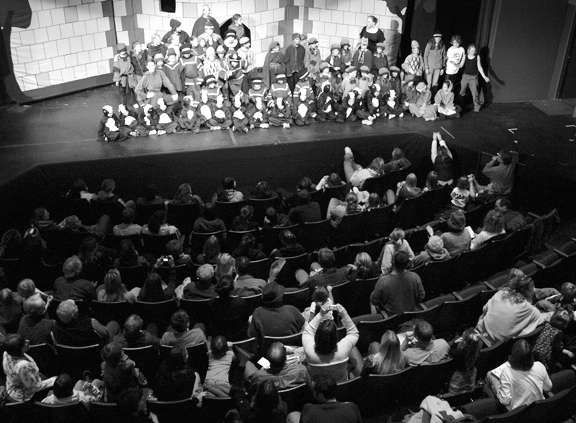 ?Missoula Children’s Theatre touring productions have long been an international phenomenon; yet until last year’s premiere of Robin Hood, MCT’s international tours included plays performed only in English. Now in collaboration with MIS, they have added a truly multilingual offering. community as well as a distinct opportunity for them to put their language skills into practice beyond the daily academic scope of their classrooms. MIS students consist of a smattering of various backgrounds with one thing in common: all of the students at MIS live in Missoula, Montana and study things globally in their second language, Spanish. The production process starts early in the summer when MCT selects the play and MIS translates it into Spanish. ?After several weeks of reviewing the accuracy of the translation and preparing the score, a team of professional theater directors and actors from MCT conduct a casting session at the school. ?Subsequent to two engaging hours of improvisational skills on display, a cast of 50-60 school age children walk out of the school’s gym with an assigned role. 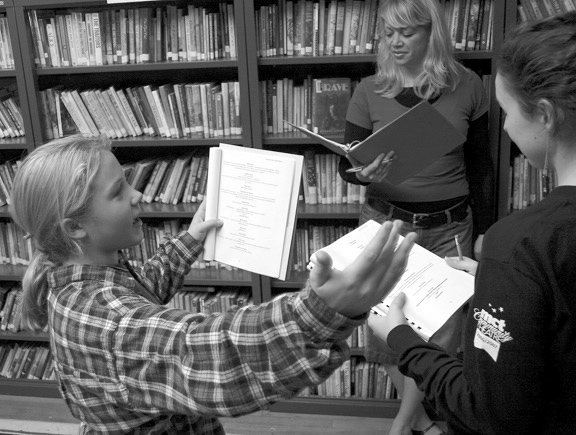 ?Students work for a full week combining their Spanish language skills with their acting and singing talents. ?Following the arduous week of rehearsals, memorizing their Spanish lines and honing their performance skills, MIS students debut the play in Spanish for Missoula audiences; after the Spanish play excites Missoulians’ applause, MCT takes it on the road to Mexico, where Mexican children don the same costumes and memorize the same lines as MIS students did earlier that year. At MIS the arts are fundamental to educating the whole child. As a result, music and art education are integrated into the overall curriculum to augment the internationalism and communicative potential of each MIS student. Music and theater enhance a child’s educational experience in many ways by presenting yet another “language” through which individuals find self-expression. Second and third graders from MIS take on the role of aristocrats.? Performance is an important part of the arts program at MIS. Performance presents students with a safe space in which to take risks and build confidence before an audience in addition to practicing their developing second language skills for an authentic purpose: to entertain an audience.MCT touring teams travel throughout the world and have a well-established routine for putting on a full theatrical production in a whirlwind week. 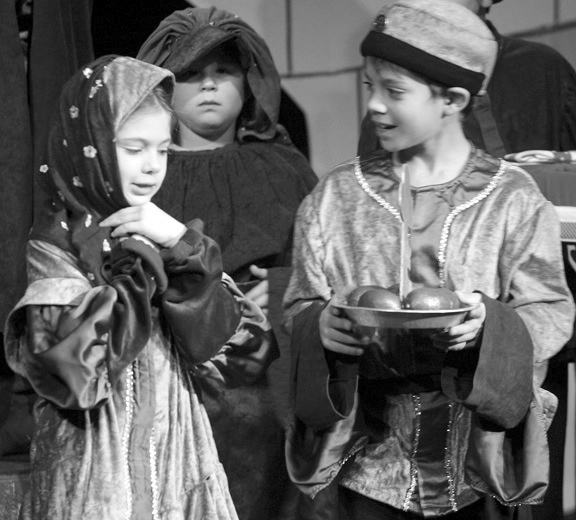 The MCT productions have become a highlight of the year for MIS students. They appreciate the many benefits of being on stage. 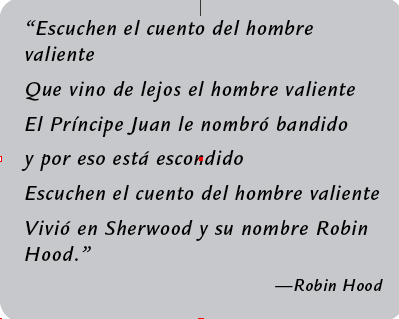 “Since Robin Hood I have become much more confident as a communicator. I feel more like a communicator because I tend to talk louder, but also feel more confident just being me,” says MIS sixth grader, Dessa Lennox. Fifth grader, Stella Shannon, explains, “I have grown as a risk taker by doing my best in Robin Hood.” Beyond the development of second language opportunities, MIS students develop key character qualities that are important to the MIS program such as confidence and risk-taking. Furthermore, these plays connect Montana youth to Mexican youth and create a truly international connection.Last year, MIS students wrote letters (in Spanish) to the children in Mexico who were cast in the same role they championed on the Missoula stage. Following the Mexico tour, MCT directors were pleased to report back to eager ears of MIS students that the MIS student letters were one of the most touching and exciting parts of the process for the young Mexican actors. The Mexican students were touched by the extension of friendship in their native language from American students, while MIS students received further commendation on their Spanish language skills. The full cast poses for a photo shoot after the final performance. Backstage the evening of the performance, MIS kindergarten and eighth grade students alike deal with nerves wedded to performance. Yet, unlike most young American dramatists, these native English speakers are about to perform entirely in the Spanish language they learn in their immersion classrooms at school. The MCT director stands up before the crowded room full of Tarantualas (spiders) and Ratoneros (Buzzards), as well as Dorothy and friends, and leads everyone through pre-performance focus exercises. With a deep breath each student steps out of the room confident in his/her ability as an actor and as a Spanish speaker, and recognizes the responsibility of debuting another MCT Spanish play. Most exciting for MIS students, however, is the connection between themselves and the children in Mexico, who will be next to perform this border-bridging play.